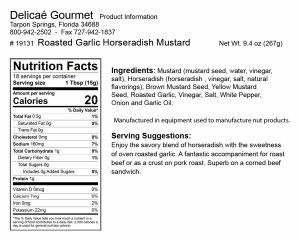 Roasted Garlic Horseradish Mustard "Gluten-Free"
Enjoy the savory blend of horseradish with the sweetness of oven roasted garlic. 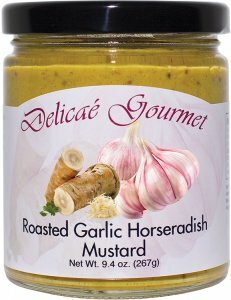 A fantastic accompaniment for roast beef or as a crust on pork roast. 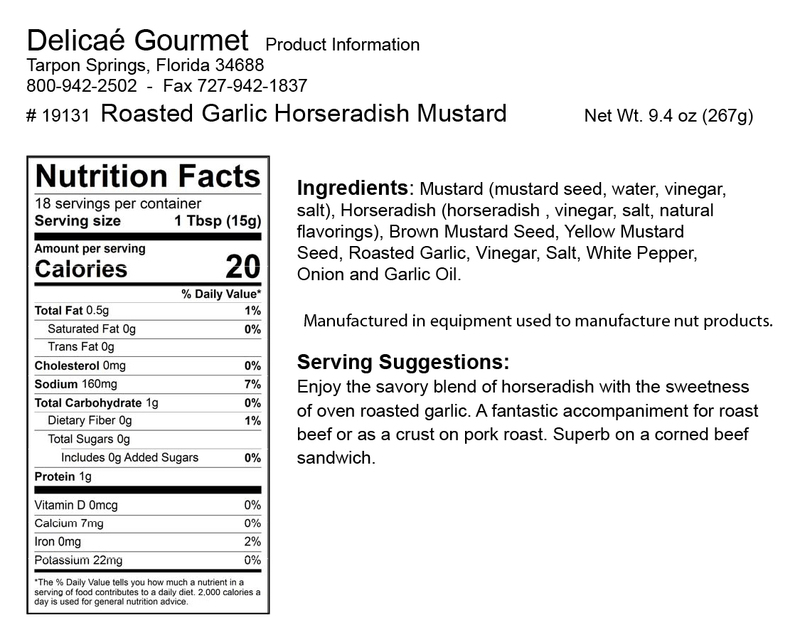 Superb on a corned beef sandwich.